Archos announced their three smartphones: All dual-sim, all worth a look! 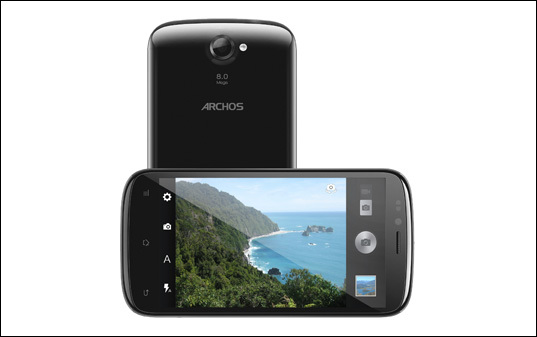 Yesterday we heard rumours about Archos planning on launching a new range of smartphones and what do you know today they're official! In the range there's three devices; the 50 Platinum, the 53 Platinum and the 35 Carbon. As we expected each of these names refers to the screen size of each device and so lets look at each one in a little bit more detail! The screen in a 5" IPS panel with a resolution of 960 x 540p making this a qHD screen which is ok, if not amazing. Android 4.1.2 Jelly Bean will keep everything ticking over on a Qualcomm 8225Q quad-core Cortex-A5 processor, which should perform well, but it won't be spectacular! This is paired with 1GB of RAM and 4GB of internal storage which is expandable with cards up to 64GB in size! On the camera front there's an 8 mega-pixel rear and a 2 mega-pixel front arrangement, which is capable of 720p video recording Otherwise there's Bluetooth 3.0, 2G and 3G connectivity one for each sim card because this is a dual-sim phone, GPS and a 2000mAh battery should just about be enough to get you through the day if you don't tax this thing too hard! You can find full details about this device on Archos' site here! The 53 Platinum is the real head of the line-up. There's a 5.3" IPS again with that 960 x 540p qHD resolution this time, but other than that all of the internals are the same, all the way down to ! Last, but certainly not least is the baby of the line up and this will probably end up selling the best of all the phones. This little device has a 3.5" 320 x 480p HVGA display and is powered by a Qualcomm 7225A processor clocked at 1 Ghz. This time Android 4.0 ICS is in the driving seat, which is kept ticking along by 512MB of RAM and 4GB of internal storage which is MicroSD expandable with 32GB cards. The cameras on this device are VGA on both sides, but on the plus side there's still Bluetooth 3 and GPS on board. The whole thing is powered by a 1300mAh battery which should be perfectly fine for this sort of device. Again this phone is dual-sim and you can find full details here! 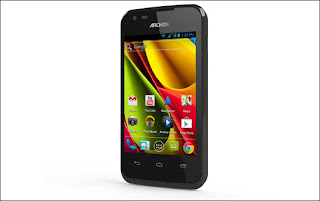 Obviously with these sorts of phones price is everything and Archos have kindly laid them out for us! 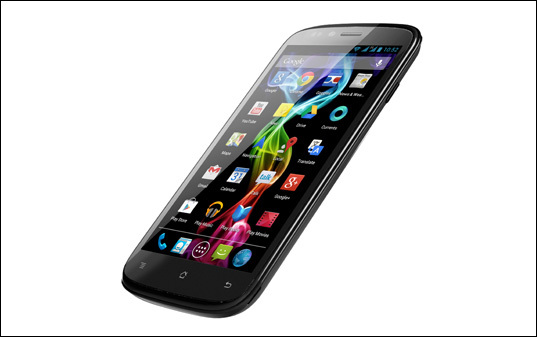 We think you could do worse than picking one of these up, we would recommend having a scout around if you're after the Archos 35 Carbon though because there will be cheaper alternatives in the same sort of price bracket, although they won't all be dual-sim! If you want more information then the details of each device can be found here!